Luca Brogi is a photographic artist based in Italy. He is always passionate for photography, like a job and researching aesthetic communication too, during his travels he found many ideas for his research about the relationship between the society and how that is interpreted, through 1980 to today. He started to photographing using developing and printing black and white films, getting with every type of camera 40s German Camera, medium format and optical bench, he used to make all photographic developments mixing the basic chemical elements. Afterwards he moved into digital processes, now at the center of his practice, without using post-processing in the most of the time, except in special cases. His research is concentrated in the relationship between perception and reality, between illusion and truth, shooting materials and surfaces revealing details of a distorted reality, such photographing commonly used objects like catalogue. He photographs people and places capturing its social interactions. His artistic way is concentrated on how is the relationship between perception and reality, between illusion and truth, shooting of materials and surfaces reveal details of a distorted reality, and the common objects photographed without giving them a precise arrangement. He photographs people and places capturing theirs social interactions. Luca Brogi started taking pictures when he was young, he was been travelling in many countries of the world (Sydney, New York, Athens, Eastern countries, North Africa, London, Barcelona), but especially in his native country, the Italy. Working in photography, with the study and research, he gained experience as an experimental photographer, in a wide range of styles and services: commercial photography, still-life, advertising and fashion photography, reportage and street-photography. Born in 1967 in Lucca, in 1992 he went to the “DAMS”, University of Bologna in the field of artistic disciplines, in a period in which the city thrilled with changes and political agitation. A city where he found the first professional assignments as a stage photographer with the academic professor “Giuseppe Liotta”, an important figure in the Italian Theatre. 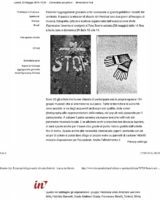 He also knew Luciano Nanni, professor on discipline of aesthetics, and Italo Zannier “History of Photography”, that left an indelible mark in the Luca Brogi’s vision of the photographic art. 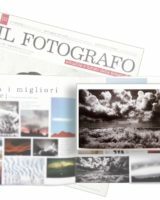 In 1995 he moved to Milan where he acquired highly professional experience in the field of fashion and design photography, working with internationally famous photographers, like: Andrea Marchionni, Malena Mazza, Douglas Ordway and Sofia Riva, and in highly specialized photographic studio such as the “Superstudio1” of Fabrizio Ferri. In this period, as well as having improved his skills in lighting advertising and fashion photography, he made his first professional works collaborating with “Luigi Grasso” Project Manager Milan, “Goigest” Milan, “Sony Music” Milan. From Milan to Tuscany always travelling for maintain professional and artistic collaborations with: “Benvenuto Saba”, “Brigitte Nielsen”, “Costume National”, “Zeno Sorini”, “Gabrio Staff”, “Montani” Designer, “Giorgio White” Stylist. In addition to photography, his experience ranges from video to strategic communication and marketing planning with print production, to support and complete advertising actions, in a significant role of some companies. 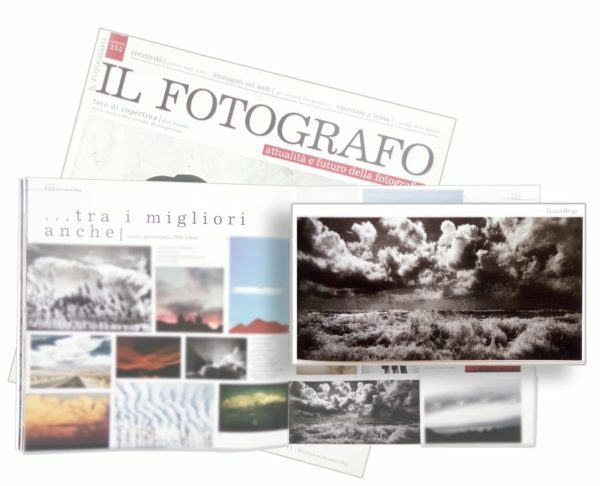 Now Luca Brogi, is dedicated to the personal research of aesthetics on photography in the digital revolution and on the way to produce it and to see it.